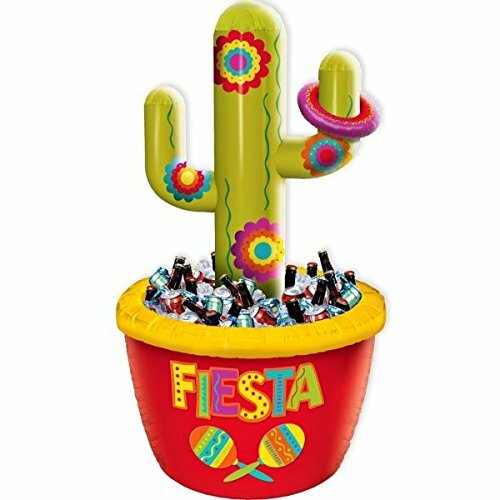 This giant Inflatable Cactus Cooler and Ring Toss Game may be crazy, but it sure is awesome! This is a cooler that's cool with its fun patterns and colors and a headline that says “Fiesta” in different colors. Just inflate, fill with ice and your preferred beverages, then toss the rings to win. Who knows, you might win all the drinks. Get one for your celebration for amusement with a practical function. Made of inflatable plastic balloon. Available in pack of 1.